One of my MIL’s special event Hungarian treats were these... these - what to call them?? We always called them “sajtos” - which translates to “cheesies” - not a very sophisticated label. So in English, let's call them Hungarian Cheese Snacks. Imagine these as part of a charcuterie / antipasto spread. Or - if it's a trend to serve wine with potato chips - surely these are more classy. When it comes right down to it, I can't think of any time when these would not be a big hit! 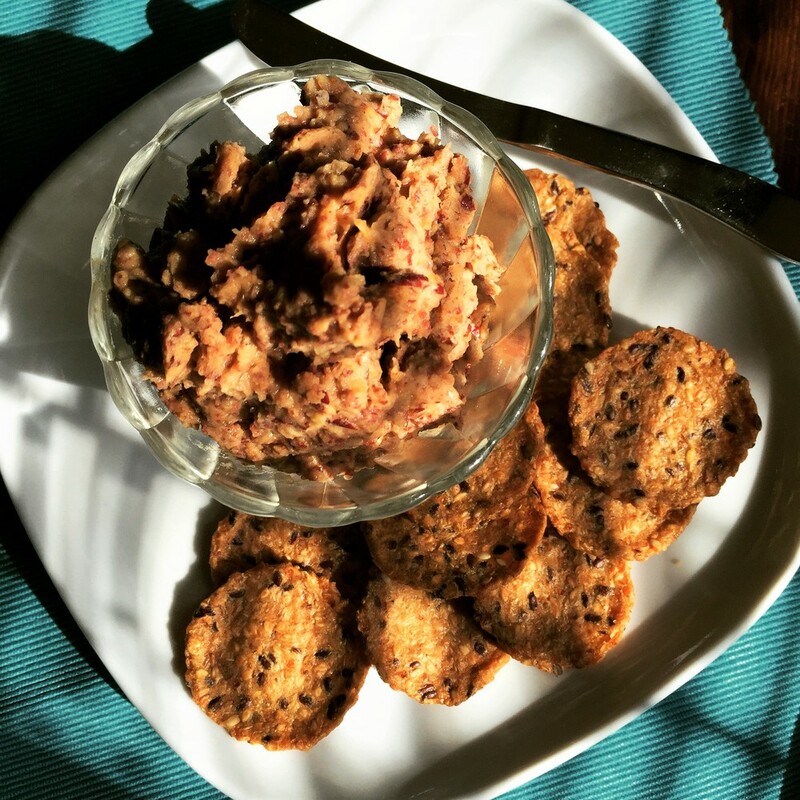 From time to time, my mother reminisces about "nuts and bolts" - the flavourful, crunchy snack she used to make for her euchre parties. Nuts and bolts on one corner, and bridge mix on the other. No surprise, there are many variations of this recipe online. I finally found her recipe, and jazzed up the flavour a bit.